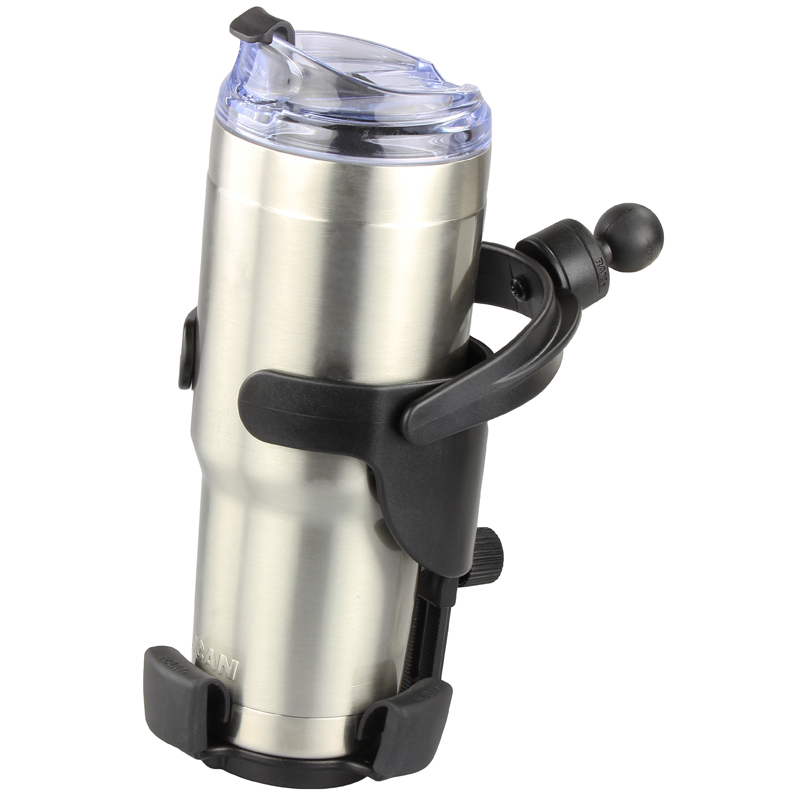 Designed for bigger insulated cups, plastic water bottles or even your reliable steel coffee cup, the Level Cup™XL keeps your drink upright, regardless of the conditions. 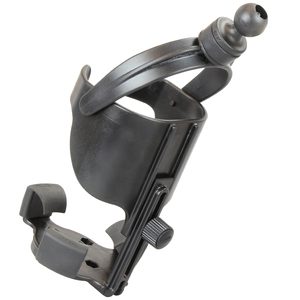 This kit includes a Level Cup XL with a B-size RAM®Mounts ball directly attached. 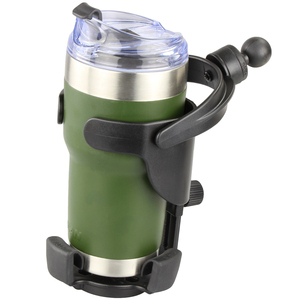 The oversized opening cradles the biggest of gulps and the adjustable bottom piece moves up and down to accommodate taller cups. The rubber feet flex to fit various sized cups as well. 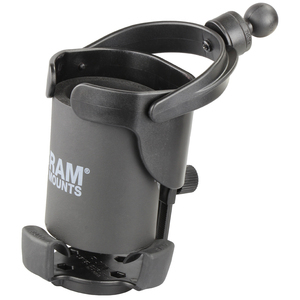 RAM® Mounts has refined the self-leveling action to keep your cups full.